Forward-Thinking Females | The Kids Beat | Kids VT - small people, big ideas! 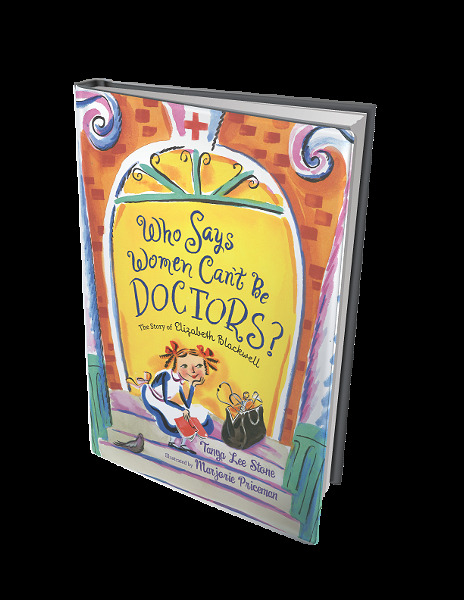 Books: Who Says Women Can't Be Doctors? If Women's History Month inspires you to reflect upon how far females have come, Burlington author Tanya Lee Stone's new children's book is a good start. Appropriate for ages 4 and up, Who Says Women Can't Be Doctors? tells the story of Elizabeth Blackwell, America's first female doctor, through spunky text and vivid illustrations. "Back in the 1830s, there were lots of things girls couldn't be," the story reads. "Girls were only supposed to become wives or mothers ... Being a doctor was definitely not an option." Writing about the pioneering women who changed the course of history is familiar territory for Stone, whose 2008 picture book Elizabeth Leads the Way introduced young readers to leading suffragette Elizabeth Cady Stanton. "Who Says Women Can't Be Doctors?" by Tanya Lee Stone and illustrated by Marjorie Priceman. Published by Macmillan Children's Publishing Group, 40 pages. $16.99. Info, tanyastone.com. Stone attends a book-launch party on Thursday, March 14, 4:30 p.m., at Flying Pig Books in Shelburne.